Seventy Times Seven Times, Forgiveness as Lenten Penance. I have now preached almost 400 parish missions. One of the presentations that we friars in the Franciscan Ministry of the Word always give is a talk on forgiving others. This comes right after a talk on God’s mercy and forgiveness towards us. I personally believe that forgiving others is one of the most, if not the most, command that Jesus places on his followers. Our ego wants to hold on to hurts and to make others pay for them. If we feel that others have not properly atoned for a wrongdoing we replay the injurious situation over and over again in our minds and get smug satisfaction from doing so because in that movie that we create in our minds we are always right. Right off the bat I must admit that I have been guilty of engaging in this process. We also fear that if we forgive we are condoning a wrong done to us and letting our opponent walk all over us. What then are we to do? I think that some important distinctions need to be made. The main one is that we cannot always reconcile, but we can always choose to forgive. Hugh? What does that mean? Reconciliation is the ideal. Reconciliation happens when two parties confront one another about a wrong that has been done. It includes the expression of hurt and anger and the quest for justice by the wronged party. Forgiveness is never about condoning evil, but rather moving beyond it. Reconciliation may take time for cooling off and reflecting. At times it may mean going to court, but in the end both parties agree that justice has been served and they are able to renew their relationship, never quite as it was in the past, but in a new way. Also the forgiveness that is at the basis of reconciliation is just a beginning. Trust after the forgiveness takes time. I have witnessed the true reconciliation of broken marriages and family relationships as well as business partnerships. Sometimes reconciliation is not possible. Why? Because one of the parties is unable or unwilling to forgive. God only expects me to do my part. If the other person is in the throes of addiction or mental illness or is just plain mean reconciliation is not possible, but forgiveness is. How? Forgiveness happens when I realize that my anger, which may have been justifiable in the beginning, is no longer serving any good purpose. It has turned into bitterness and resentment. When this happens I have to ask God to heal my soul. This may take time. I may have to pray “seventy seven times” as it were before the resentment leaves me. 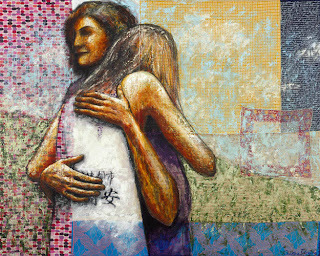 For Lent perhaps we can seek out someone with whom we need to reconcile, or begin to pray that a persistent resentment leaves us. Recovering alcoholics tell us that resentment is one sure way back to the bottle. I know from experience that holding on to them leads to a life of bitterness and sadness. I am much more at peace today because the good Lord has helped me to deflate the anger sack that I once carried. There is still some stuff in it, but it is getting very small. 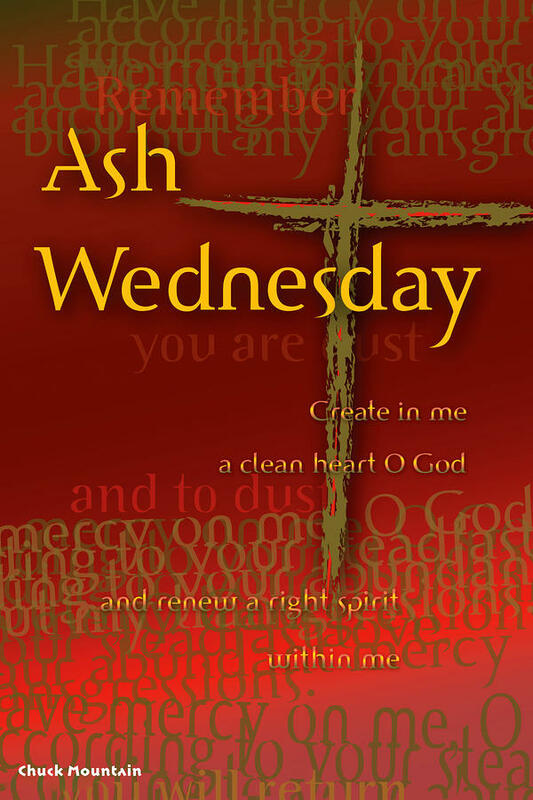 Ash Wednesday is upon us and many of us, Catholics as well as members of several other Christian churches will have ashes placed on our forehead with the words "Remember that you are dust and unto dust you shall return." Others will hear a more recent formula taken from the Gospel, "Turn away from sin and believe in the Gospel." For a long I have been inclined towards the newer prayer but in recent years I have moved back to the more traditional words. Both of course have their richness and both are good reminders at the beginning of Lent. So why my turn to the traditional formula? Part of the answer to the above question is the fact that I am getting older and thoughts of my own mortality more easily come to mind. After all, I'm in my late sixties and am a cancer survivor, though I'm in good health at present and barring the unforeseen am not looking to die any time soon. That having been said I think that it is good to pause occasionally and reflect on the fact that life will come to an end. As one pundit likes to say, "None of us gets out of this life alive." Not only does it help us to realize that we will have to give an account to God, it also puts our life into perspective. It challenges us to realize the now, this moment, is the only time guaranteed to me. Yesterday is gone and while we indeed must learn the lessons of history in general and our own history in particular we cannot relive the past, nor should we try to hold onto it. On the other hand we're not sure of what tomorrow will bring even though we need to make reasonable plans for the future. Spiritually that challenges us to take advantage of the graces and blessings that the good Lord gives us each and everyday. As the folks in twelve step programs have learned--to take life one day at a time. There is a second lesson to be learned from this invitation to remember that we are dust. Biblically the word that is commonly translated as "dust" can be translated as "earth" or even "mud". These words remind us that we are creatures, and that God is God. St. Francis of Assisi, near the end of his life, wrote the beautiful, but often not really well understood Canticle of the Creatures in which he refers to the Sun, Moon, Air and Water (understood at the time to be the four basic elements) as his brothers and sisters. Some have the impression that this canticle was a sort of nature romanticism of the young Francis. It was not. 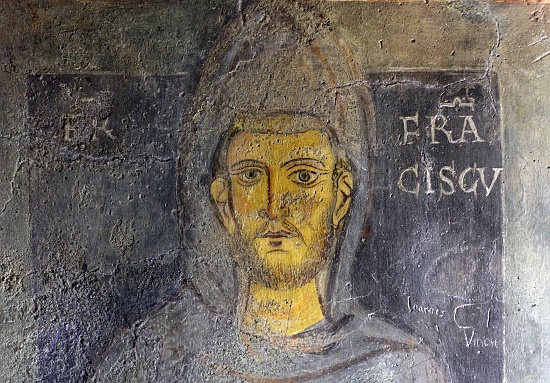 Broken by illness and failure to succeed at several endeavors he was visiting the Poor Clare Sisters at the Church of San Damiano near Assisi. He slept in a sort of lean-to outside the convent and woke up on a glorious sunny morning with mice (creatures) crawling over him. The poem then represents his acceptance of his creature-hood, his limitedness, his humanity. He praised God most high for being revealed to us in creation and acknowledges that he is brother to all creatures and they are brothers and sisters to him. This Lent perhaps all of us can embrace the fact that we are creatures, the created and not the Creator, challenging ourselves to be rid of pretensions and illusions about ourselves. In this age of environmental concern we can try to view ourselves as part of creation rather than only as agents who act upon it. And finally we can open ourselves more fully to an appreciation for and respect for human life and for all living things. A Happy Lenten journey to all my brother and sister creatures. It comes from a website called Busted Halo. I recommend it. As the title suggests it shows different ways in which we are sinners striving to become saints. So what have I been doing for the rest of my time? 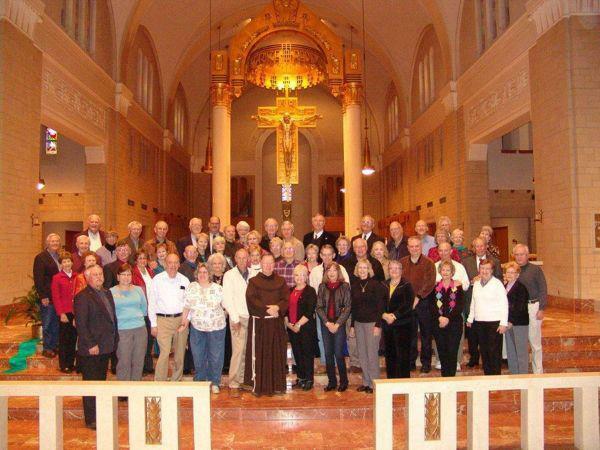 As much as I love my ministry and enjoy traveling about I would burn out if I didn't have quality time with my Franciscan community here in St. Petersburg. Although my prayer life continues when I am out on the road it is especially good to be here at home and to pray Morning and Evening Prayer and celebrate the Eucharist each day with my brother friars. Just being in the regular rhythm of that provides me with an anchor, a steady reminder of what my life, our life is really all about. Our community here consists mostly of men who are "retired," though there are several of us who are not. I put "retired" in quotes because one never really retires from being a friar or a priest, but as we get older we are relieved of the burden of administrative responsibilities and we work only as age and health allow. We have a 94 year old friar here, Fr. Emeric, who still goes out to say Mass in local parishes and who is chaplain for a local Knights of Columbus council. Next week I hit the road again with a full schedule for Lent. You can see my schedule on the right side of this blog. I have been asked if I'm going to do videos for the Sundays of Lent like I did last year. 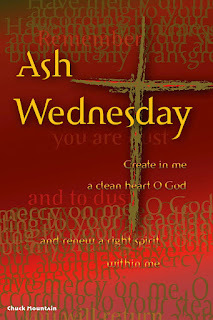 Because I'll be using time to work on my book I won't be able to do that but I will be posting here on several different topics starting with a Franciscan reflection on Ash Wednesday which will be up in a few days, so stay tuned dear friends. The mention of knights and monks conjures up images of the Middle Ages and the crusades. It certainly doesn't make one think of modern day happenings in central Arkansas, yet that is where the two came together for me over this past weekend. Last year I was invited to preach a retreat for the Arkansas Knights of Columbus and their wives at Subiaco Abbey, pictured above. I don't often get to preach a weekend retreat at a retreat center. Most of the time I am at parishes preaching a mission, sort of an on-site retreat at the local parish. Nonetheless I enjoy doing weekend retreats when the opportunity presents itself. The Abbey (meaning a monastery headed by an Abbot) is named after a famous Abbey in Italy which was visited by St. Francis during his lifetime. In fact one of the monks at the original Subiaco gave us the only painting of Francis done during his lifetime. (See picture below). That only added to my willingness to accept the invitation to go to Arkansas in February of 2011. A rare heavy snow fell on that weekend last year and my invitation was postponed until this year, February 3-5. It turned out to be a very wonderful and moving weekend for me as well as for the nearly 70 people who came to the retreat. The retreat was held at Coury House on the Abbey grounds and I chose the theme of Following Christ in the footsteps of Francis. As I unfolded that theme however the footsteps of St. Benedict were very prominent as well. One of the monks, Brother Francis (coincidence?) was in charge of Coury House and made sure that we received true Benedictine hospitality. In addition to that we joined the monks for Vespers on Friday and Saturday evening and for Mass on Sunday morning. It was at these times of prayer that we experienced the interface of two different aspects of Church life that we don't perceive as fitting together--the dedicated lay people represented by the knights and their wives, and the monks. The monks of this wonderful community drew us in and made us a part of their life of prayer. Abbot Jerome took the time to visit with us at meals and was gracious in receiving me. The Sunday Mass was especially moving and representative of the Church as the People of God. The Abbey runs an academy for boys, Subiaco Academy, and the students at the school were involved in many ways in the Liturgy--readers, ushers, etc. As I wait at Tampa airport for the flight which will take me to Little Rock for a retreat to the Arkansas Knights of Columbus and their wives I have decided to post here on a topic which has been on my mind for the past few weeks. As most readers of this blog know the Obama administration through the department of Health and Human Services has issued an edict mandating coverage of contraceptives at Catholic hospitals. Those who disagree with the Church's teaching on this subject may think that this is no problem, or that it is good. Stop! Think! Whatever one may think of the Catholic Church's teaching on contraceptives it is up to us Catholics to debate the matter with church leaders. When government sticks its foot in the door and tells any church to do something which violates its teaching I believe that it is unconstitutional. 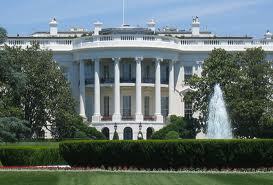 I would encourage people to write to the president expressing your concern about this matter. Just to be fair I'm not sure that this edict is the deliberate assault on freedom that some say it is. Nonetheless it gets the government into the door of a room in which it does not belong.